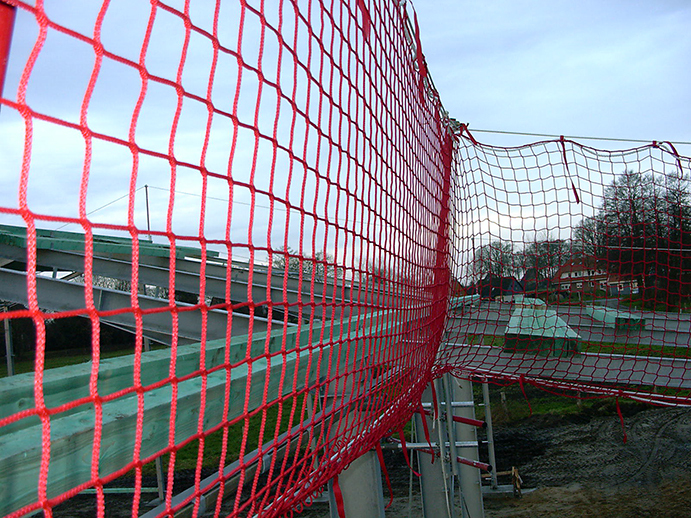 Vertical safety nets (aka personal protection safety nets or sidewall safety nets) are mandatory on construction sites which imply a risk of falling, e.g. 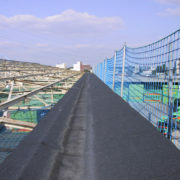 roofing works, façade renovation, industrial construction, bridge building, etc. 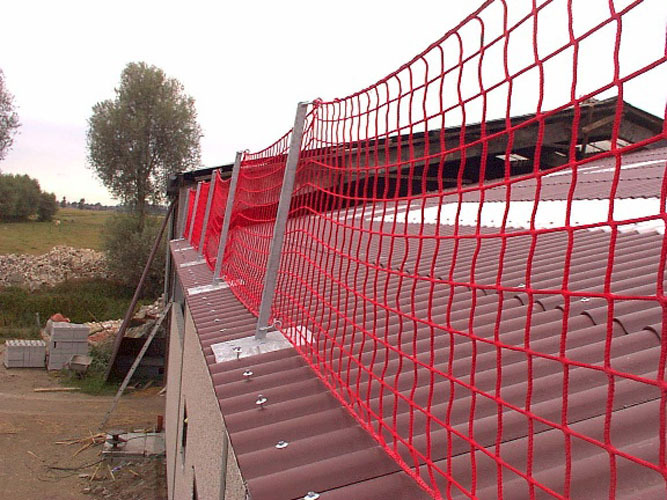 These vertical safety nets are crucial for an effective fall protection. They are attached to scaffolding at the height of the roof edges or in front of the façade. This way, roofers are stopped (or caught) when they lose their balance. Javer’s personal protection safety nets are inspected and certified in accordance with the European standard EN 1263-1 type U. 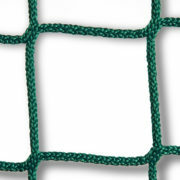 They consist of knotless polypropylene with a wire thickness of 5 mm, an 8 mm edge cord and mesh width of 45, 60 or 100 mm. 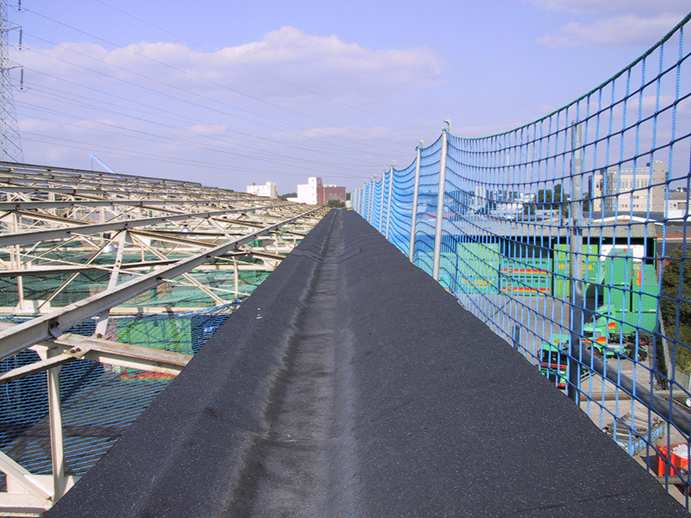 This white, green or blue edge protection is a highly reliable solution for a possible fall. 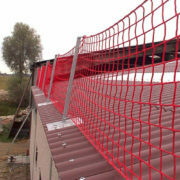 The vertical sidewall safety nets can be attached to the railing in four different ways: shoved over the railing pipe through the meshes, with sewn buckle straps, with sewn lashing cords or with a wound rope. 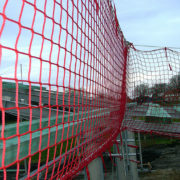 The Javer personal protection safety nets in standard sizes are immediately available from stock. 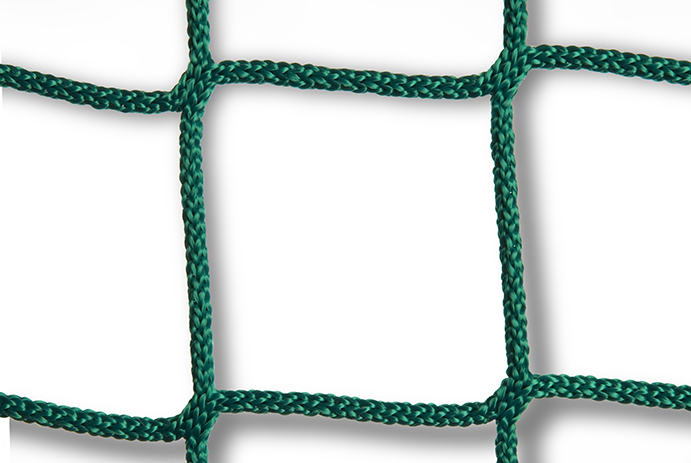 However, we also manufacture customized nets. In all sizes, colours and designs.